Our motto. 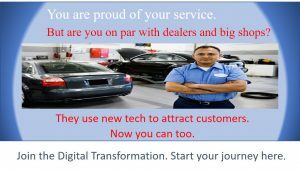 Enhance ownership experience of Auto. Why decide blind?. Use insights from data that helps you make smarter decisions and find cheaper services on demand. Talk to us. Over 1 billion people around the world and about 130 million people in USA drive to work or school everyday. 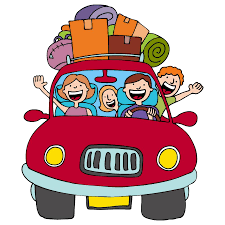 Car brings us convenience, earning power, enjoyment and status. Everyone loves a road trip. Car is the 2nd large investment after your home. People spend about $8900 a year on car payments and maintenance. Riding a car is fun. The fun turns into distress when a car breaks. Fixing a car today is very stressful, time consuming and expensive. Average visit to a shop costs about $400. It takes days to fix a car. Indirect cost of time lost from work or school, the anxieties of not knowing what went wrong and how much it will cost and renting a car or finding a ride, all can add up to an unbelievably high number. It is interesting enough, most cars built after 1996 come with many sensors and computers. These computers self-check health of the car and produce valuable data every second. 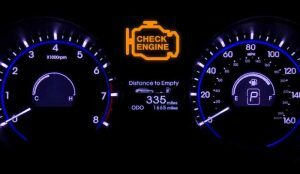 Yet, once in a while only thing we see is "Check Engine Soon" light when it is in serious trouble. We have no idea what went wrong until we take the car to a shop. Miscommunications cause wrong work and mistrust between drivers and service providers. According to EPA, 51% of household emission comes from cars. Poor maintenance can cause as much as 30% excess emission and 40% reduction in fuel efficiency. Since cars already produce own health check data. This data can be analyzed and correlated with historical data and various symptoms from similar cars to understand what could be wrong when an incident is detected or even predict what could go wrong in the future. Knowing what is wrong also helps us to find the fixes already performed by others and experts. 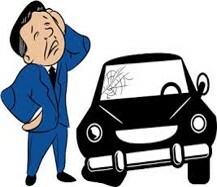 This information can be shared with everyone involved via the mobile technology and internet to decide jointly what actions should be taken to fix the car pretty much within a few moments of a failure. That's what Telenyze (Tele + Analyze meaning remote analysis) Auto App and Digital Platform do. It analyzes the data gathered from cars using the mobile app and OBD II device to produce easy to understand health report and shows possible fixes. You can view the list of service providers nearby, their reviews and promotions. Call them or send them appointment or estimate requests via the app. The request shows up as an alert on their Telenyze Digital Platform and their phone. 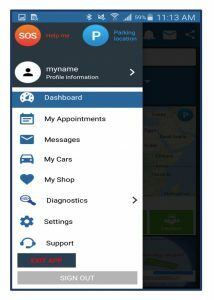 A shop can remotely view the vehicle health details and your problem descriptions and images on this Digital Platform Dashboard when you contact them. They can respond to your request and send messages from the Dashboard which shows up as notification on your phone. You can exchange messages or call to discuss further details and provide additional information. Provide your feedback and share your service experience with your friends and family via the app. Want to notify someone for help when you are in trouble? Click the SOS button. Want to locate where you parked? Click the P button. Want to check if the car is ready for state inspection? Check the Readiness Report. 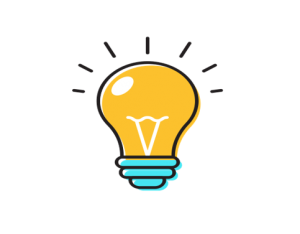 Want to run advanced diagnostics and clear the fault code? Select the Diagnostics option. Want to check repairs and appointment history? Select the My Cars option. Keep car fit, increase fuel efficiency, reduce emission, save money. Want to discuss the vehicle health report with a friend or an expert? Send them a link. Telenyze gives cars a voice. Decodes what a car is saying into actionable insights. Helps drivers and service providers detect faults, diagnose problems and put cars back on the road as quick as possible. Increase in operational efficiency, reduction in diagnosis time and no paper work can reduce repair cost as much as 30% while increasing repairs per mechanic and service revenues as much as 25% or more. Faster and accurate digital communications, less work and in many cases fixing cars on the spot without needing to take the car to a shop can reduce downtime from a few days to a few hours. More than anything else, trusted service and peace of mind when you are in distress is priceless. Give your car a voice. Get Telenyze. An online platform for 24X7 customer communications and vehicle service management. Not convinced what it can do for you? Signup for free 30 day trial. Telenyze helps you to educate your customers. Work with your coustomers to make the right choice they are comfortable with. Stories from our digital transformation pioneers. Are you our next pioneer? Used Telenyze OBD device and App to diagnose the Check Engine light on my Honda Accord. It showed that car has clogged EGR (Exhaust Gas Recirculation) problem. Then Telenyze ran the full diagnostics scan and gave me a health scan report including emission precheck scan. This report is stored on Telenyze server which I can easily share with repair shops and my family members. Now I am not afraid of walking into a shop and telling them what needs to be fixed in shop repair lingo. Took the car to a local Midas shop where I usually take my car. The guy gave me long lecture on what he will do until I pulled out the report and told him he needs to check out the EGR and clean it. After that the guy calmed down and told oh yes now he knows what needs to be done. Decided to take the car to a shop referred by Telenyze. 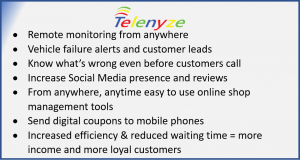 Telenyze device and service gave me lots of confidence in understanding my car’s problem and dealing with repair shops. Recently, I had a remarkable unexpected experience with Telenyze product. Thought I would share the story. Last Sunday drove to Anderson Dam in Morgan Hill to take a look at the water release they have been showing on TV news. While driving on 101 Service Engine Soon light came on my BMW. I got little worried. Since I was a few miles from the dam, continued driving anyway without stopping. Luckily had the Telenyze device in my glove compartment. After taking the tour of the dam plugged in the device to the OBD port. As soon as I ran the App it gave me MIL ON Alert and fault code P0128 which indicates Thermostat Low Coolant Temperature. Couple of months ago a coolant leak was fixed on my car. Opened up the hood and took a look at the coolant level. It was low. Added coolant and cleared the MIL ON fault code using the App. I have the device plugged in and have been monitoring the Telenyze dashboard for a week. Looks like the problem went away and the coolant is warming up as expected. That means the car still has a slow leak and I need to take it to the shop for fixing it but at least I am well informed what is going on with my car and don’t need to panic and can tell the repair shop what exactly is going on. It helps them narrow down the problem and fix the car lot quicker. They can fix more cars with higher value repairs, rather than spending time figuring out what could have gone wrong. Bottom line, it saved me from unnecessary panic, saved my car from overheating and breaking down on my way back and needing a tow truck as well as doing damage to the engine and other components. Now, I am more convinced why Telenyze is pretty much an essential tool for any cars. I had a customer call with a problem that Telenyze would have been perfect for. They called with check engine light on runs rough. Wanted to know if they could drive it home or if it was serious and needed immediate attention. Don't see what you want? Tell us. We may build it for you. Want to WIN a free trial product?